Fourth graders at The Chapin School put their Spanish to the test when conducting Skype calls with global partner students in Nicaragua and Honduras. Chapin teachers integrated Level Up Village’s Global Scientists curriculum into an innovative cross-curricular program that combined Spanish, Science and Global Citizenship. This term, Middle School teachers and administrators researched and implemented ways in which to bring the study of language into the Class 4 science curriculum at The Chapin School. Jack Cooley, Head of the Middle School Science Department, spearheaded this effort by reaching out to Level Up Village, a social enterprise that creates globally minded STEAM courses and guides interactions between schools in the U.S. and other countries. The goal was to create lasting partnerships with other countries. 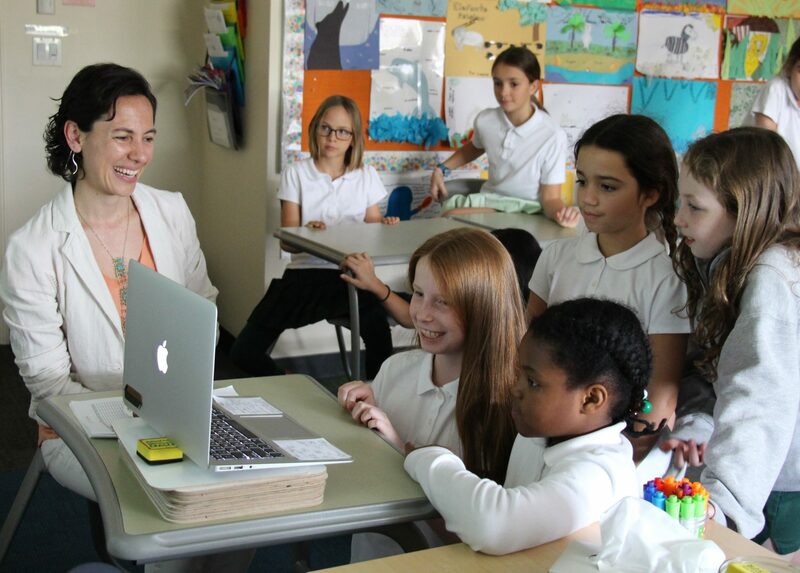 At Chapin, Mr. Cooley, Spanish teacher Ana Agón, Head of the Middle School Mary Rafferty and Head of Middle School Technology Trude Goodman planned how science and Spanish classes could work together in this global exchange. Ms. Agón and Mr. Cooley worked with two after school programs – NicaPhoto in Nicaragua and Honduras Child Alliance in Honduras—and Class 4 students became “Global Scientists” in both their science and Spanish classes. They studied the chemical properties of water, water cycles and the engineering behind keeping water clean, such as creating desalination devices. This study of water also related to the Class 4 students’ study of trout. With Ms. Agón, the Chapin students made videos in Spanish for their new international friends detailing what they had learned in Mr. Cooley’s class, such as discussing design ideas to address global clean water shortages. After creating videos for the Honduran and Nicaraguan girls which contained questions like, “Who do you live with?” or “What do you do in your free time?” Ms. Agón said that the Chapin students were surprised to find out (through videos returned by the same girls) how vastly their lives differed from their friends in Central America. 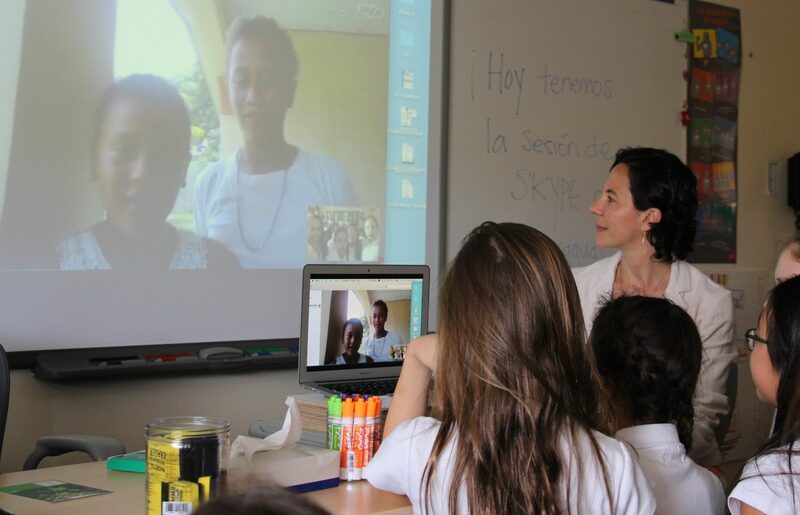 Later in the term, the Class 4 students were utterly delighted to talk to their international partners over Skype during one of Ms. Agón’s Spanish classes. Spanish teacher Ms. Agón at The Chapin School worked closely with Mr. Cooley, head of the Middle School science department, to incorporate Spanish into the Level Up Village Global Scientists exchange with students in Central America. Students communicated via video message exchange as well as Skype. In the future, Ms. Agón and Mr. Cooley are interested in finding more connections between the science curriculum and the actual living conditions within the countries of Nicaragua and Honduras. “While both of these countries are surrounded by water, they have very little access to clean, drinking water,” Ms. Agón said. While the partnership’s place within the curriculum will continue to evolve, Ms. Agón and Mr. Cooley are enthusiastic about the results from just one five-week program with Level Up Village. Ms. Agón said that enriching the students’ learning through the direct contact with Spanish-speaking students held immeasurable value. She hopes that these first steps will help to lay the groundwork for the girls becoming global citizens. This article originally appeared on The Chapin School news page. 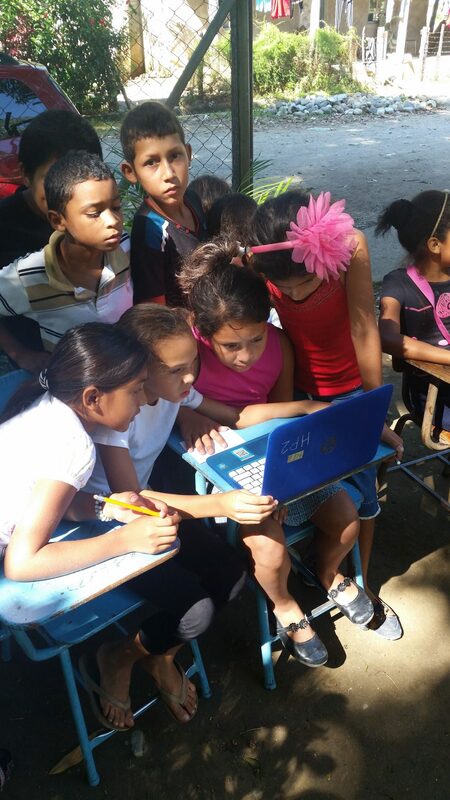 These students at Honduras Child Alliance watch a video message from their partner students at Chapin. Together, they studied water chemistry and proposed possible solutions to the global water crisis in Level Up Village’s Global Scientists course. Mary Breaden: Mary is the Communications Coordinator for The Chapin School in New York City. She has worked as a reporter, a printer, as well as for online learning programs, and runs a website for feminist writers that she founded while in graduate school.